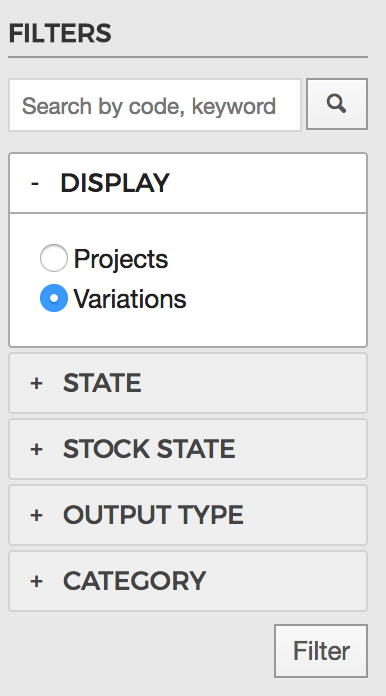 Your Projects page has been renamed to Products to incorporate this weeks change: you can now search, filter and sort your projects and variations all on the one page. You'll also notice we have shuffled some of the furniture around Craftybase. 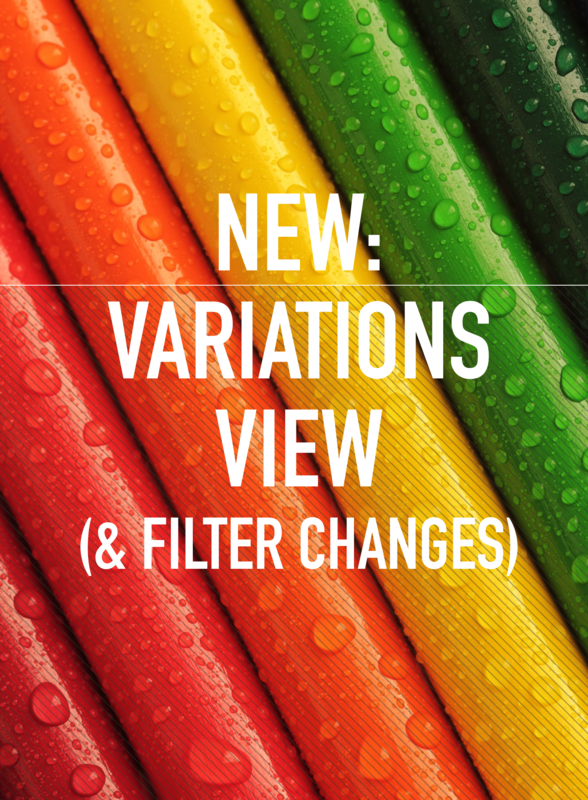 Filter panels are now located on the left hand side, flipped over from the right and have been revamped with a handy accordion hide-and-show action. Export links have also been moved: where previously they were available in the filter bar, they are now shown in the results table.